Ever since leaving my busy fall schedule (which I was more than happy to do), I feel like I've fallen into an activity vacuum. One week, I was teaching eight riding lessons, and the next I was laying on my parents' couch thinking about whether I had enough energy to stand up and get the nail polish remover. These kind of abrupt schedule changes just aren't healthy. I was full speed ahead and then I just stopped. Now I'm having trouble rebooting. If I don't even have to make my own breakfast, how am I expected to be productive the rest of the day? I'm seriously starting to think my parents' house is some sort of land-locked Bermuda Triangle where no one would care if you wore the corresponding shorts all day, every day. What is it about this place, I asked myself recently, that makes time seem to stop except for the hourly reminder of the clock chimes, which only really serve to sooth me back into a nap. If there really are clock chimes--I might just be imagining them. We've discussed road trips to local destinations like Washington DC, Gettysburg or Baltimore. But none have tempted us back to the road. "Let's go see alpacas," Nomi suggested several days ago. Apparently she had discovered an attraction much closer to home. 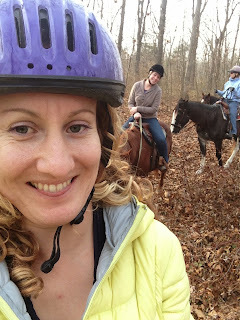 It proved more difficult to actually find the alpaca farm, and mid-venture, we changed the plan and decided to go trail-riding instead. 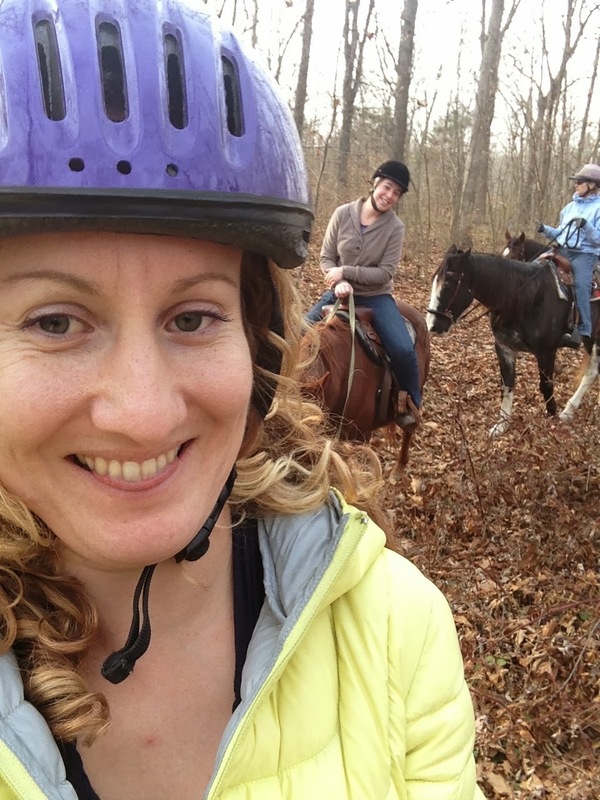 Thus began an extended jaunt through the Pennsylvania countryside, stopping intermittently to ask for directions along an unplanned trail riding treasure hunt, complete with old farmer missing teeth. In the end, we never found the place we were looking for, but stumbled on another nice riding outfit along the way. How many times does this happen in life? It was raining the day we actually visited the alpacas, who seemed largely unconcerned about muddying their silky coats for future scarfs and winter socks. They were keen, however, to take the treats we offered--but somewhat less keen to take them right out of our lips. Then one of them spit on Nomi's, leaving her face glittered with grass particles. "Let's make alpacas the theme of our road trip," Nomi suggested.